Heath Sanders could not have made a more prophetic statement for this Extension Entomologist than when he said: “we learn something new about canola every year”. I have learned something new every year that I have been working with canola, and this year is starting to confirm his “prophesy” once again. This has been a banner year for fall armyworms. They built up populations early, and migrated into Oklahoma earlier than “normal”, attacking sorghum and pasture grasses. Now, they are ready to attack wheat (once it emerges) and possibly, are marching in to graze on newly emerged canola. 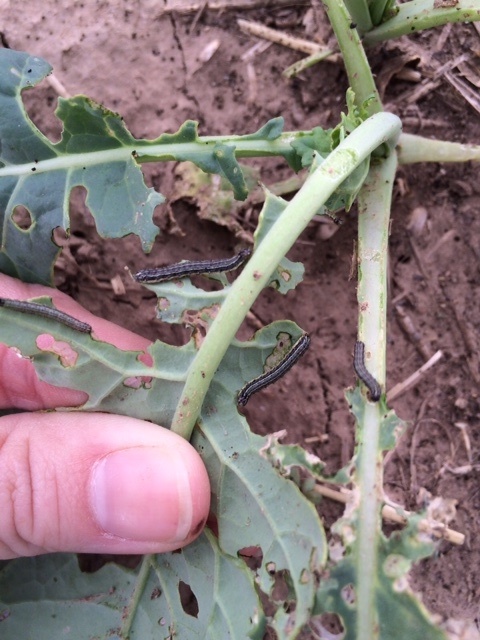 Dr. Angela Post, OSU Extension Weeds specialist reported that there were caterpillars that appeared to be either beet armyworm or fall armyworms attacking canola. We are getting confirmation on their identity, but regardless, producers need to be vigilant and protect their fields. I have already discussed their management in wheat http://entoplp.okstate.edu/pddl/pddl/2015/PA14-41.pdf, but now need to alert canola producers about them attacking seedling canola and eliminating stand. Look for “window pane” damage in young canola plants and/or cut plants. At this time, with canola so small, armyworm and cutworm caterpillars cannot be allowed the chance to reduce stand. The suggested treatment threshold is 1 or more armyworms per row-foot. Look for window pane damage in young canola plants. Treatment threshold is one or more worms per foot of row. Consult CR-7194 Management of Insect and Mite Pests of Small Grains and CR-7667 Management of Insect and Mite Pests in Canola for specific insecticides that are registered for control. Keep in mind that beet and fall armyworms can sometimes be difficult to control, so vigilance is needed by follow-up scouting following an application to make sure control is achieved. No, this blog post is not about a get rich quick scheme, but there is a way for the average wheat farmer in the southern Great Plains to add $50,000 to $100,000 to the bottom line in a single day. Many soil tests I have pulled have shown as much as 50 to 90 lb/ac of NO3-N in the top 18 inches of soil. Ninety pounds of N equates to about $45 of N fertilizer, and this knowledge could save a 2,500 acre wheat farmer in excess of $100,000 in fertilizer cost. 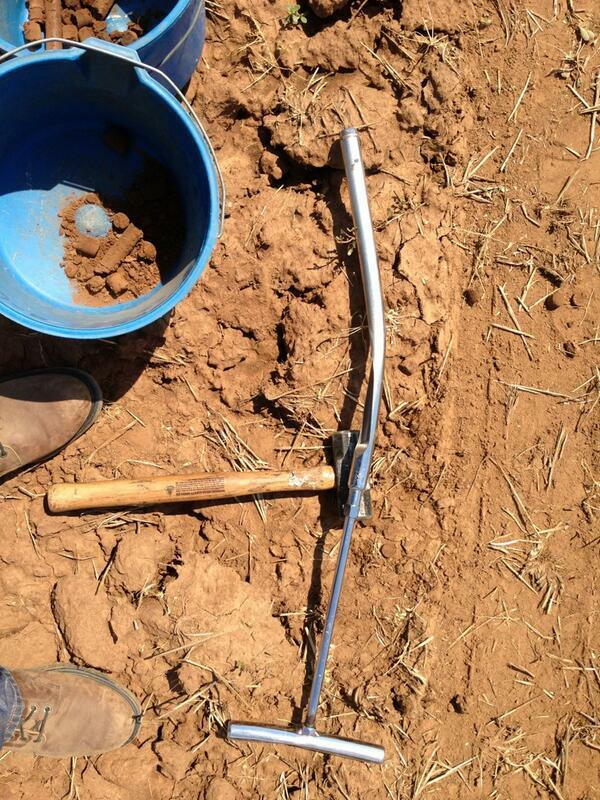 Soil testing is laborious, but the potential economic returns for spending a day or two soil sampling are outstanding.